Following the spring 2019 season, Hesston College will discontinue its men’s and women’s tennis programs. Increasing recruiting challenges spurred the college to make the decision. Nachtigall pointed to a number of factors that played into the decision, including the popularity of the sport throughout the state and among institutions who would be among Hesston’s competitors. Of 19 Kansas two-year community colleges with athletic programs, only three offer tennis programs. These external factors paired with a challenge over the last several years of filling and maintaining the college’s head coach role, have affected recruiting and resulted in declining roster numbers. “We want to provide the best student experience we can, and it’s difficult to deliver that for our tennis student-athletes when we have small rosters and challenges in scheduling matches,” said Nachtigall. 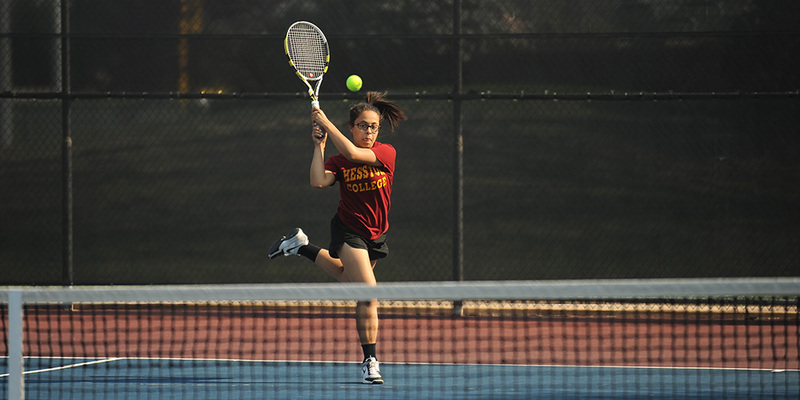 Hesston College offered varsity tennis in the 1970s before taking a hiatus from the program. Tennis was re-established in the 1991-92 academic year, and has been part of the varsity athletic offerings since that time. In 2015, the men’s program made school history by qualifying for the national tournament for the first time, followed by a repeat appearance in 2016.